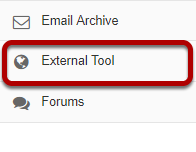 Sakai Community DocumentationSakai 19 User Guide (English) External Tool (LTI)How do I configure the External Tool (LTI) settings? You can indicate the button text and tool title location here. 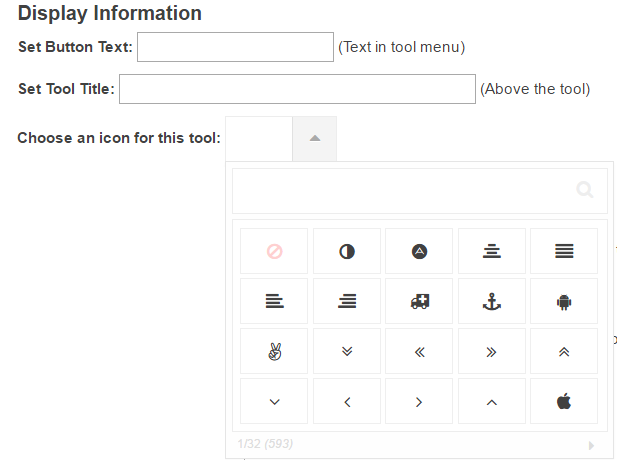 You may also select an icon for the tool from the Choose an icon for this tool drop-down menu. If you want the tool to send information to the Gradebook, you can enter a gradebook item here. Or, you can select an existing gradebook item from the drop-down menu. Check the box for Open in a New Window to open the tool in a new window. 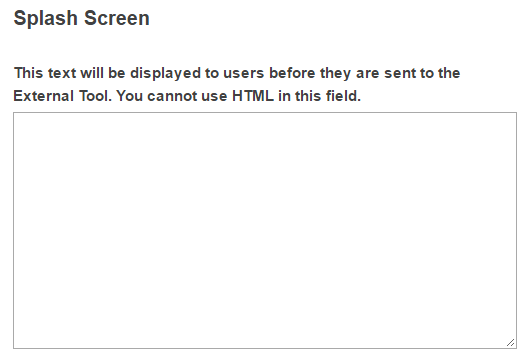 Enter an Iframe Height in pixels to set the frame to a particular size. Some newer tools may require you to Enable SHA-256 Signatures. Check this option to enable if appropriate. 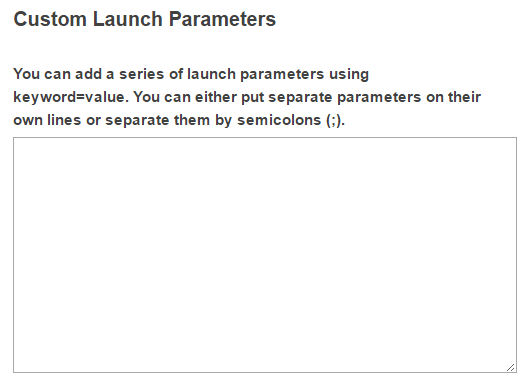 You may also opt to set it to Debug Launch which displays the launch data and can be helpful in troubleshooting the tool configuration. Prev: What is the External Tool (LTI)?